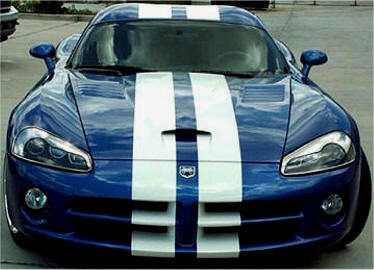 Made of Chromed ABS resin these eye brows really add a distinct Aggressive look to your Snake. Presents a more mean look in a classy way. 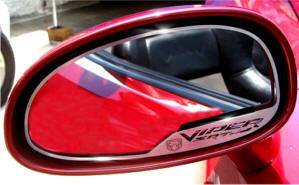 This high quality - high polished stainless steel over lay really punches out your Viper Rear Third Brake Light. What a difference! 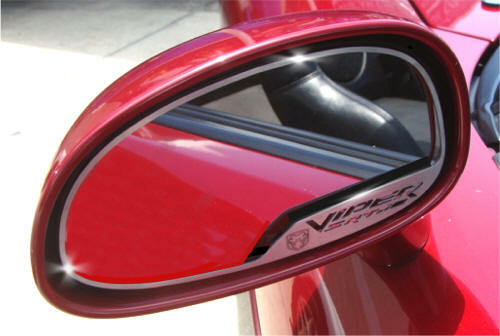 This is to mount peel and stick overlay looks classy and adds a bit of finish to your snake. Will not rust or corrode and stays shiny forever. 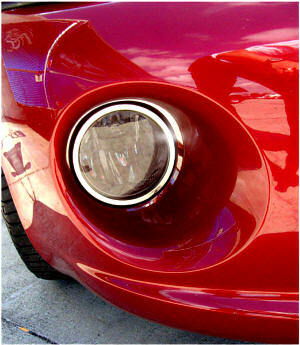 It is a must have for the car shows as well! 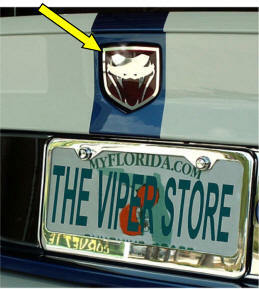 Chrome license plate frame sold separately on this site. 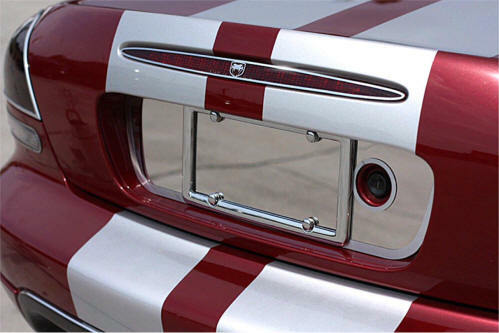 Deluxe Chrome license plate frame set sold separately on this site. 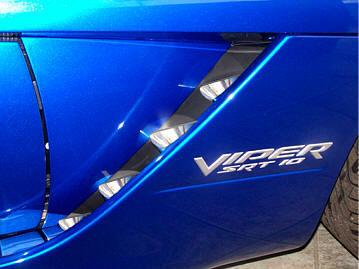 This high quality - high polished stainless steel over lay really punches out your Viper Back-up Lights. Easy to install. 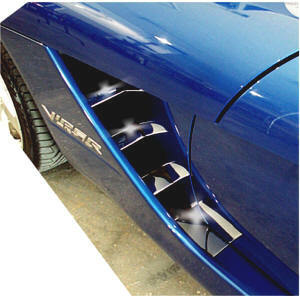 These Viper SRT-10 Fender Vent Covers are the highest quality part of its' kind in the world! 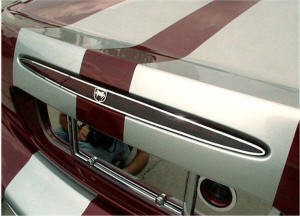 Extremely highly polished stainless steel Fender Vent Covers. 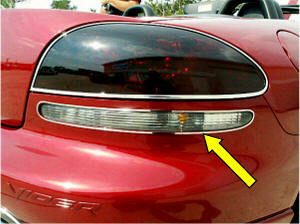 Will simply fit right on top of your existing Vent louvers (in front of your front wheel) in your fender vent. 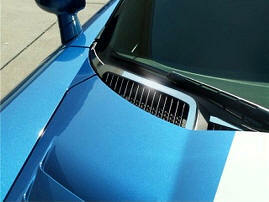 Each of the 8 custom pieces are designed to fit a specific louver on your car. Easy to mount in minutes. Really stands out and gets compliments. 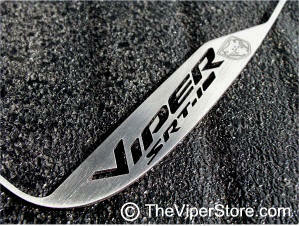 Each Piece (8 pc's) covers the entire Viper louver. 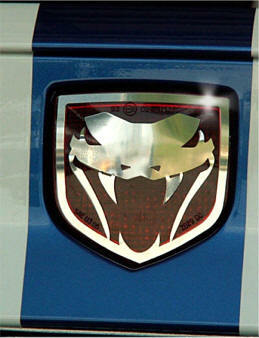 Heavy-duty High Polished Stainless Steel - Looks like Chrome. 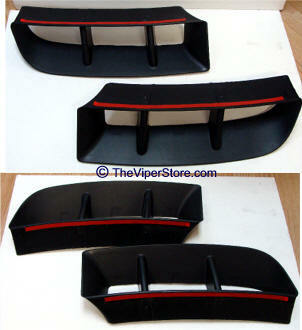 Heavy duty 8-pc set (two covers for each side of each diffuser fin). 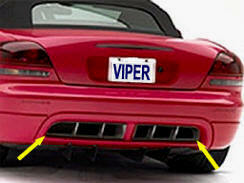 Covers the rear four diffusers or "fins" at the bottom of your Viper 03-08. Finest quality kit on the market today. They are easy to mount, simply peel and stick. Fits on both sides of each fin. 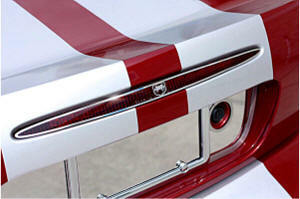 A chrome vinyl edge molding provides a professional finished look. Keeps it luster forever. Will not Rust, Corrode, pit or stain. 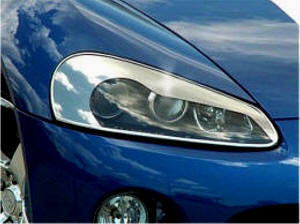 High polished stainless steel trim ring for each front fog light. Set of 2. 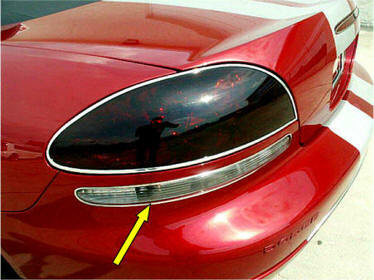 Very easy peel and stick installation. WOW! What a difference when you see this on! Eight piece set. 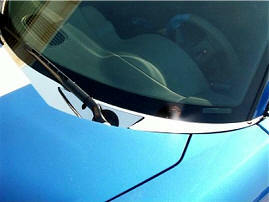 Extremely high polished stainless steel Wiper Cowl cover upgrade. 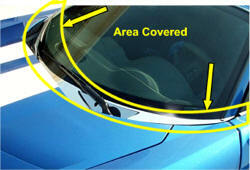 Fits directly on the area between your windshield and the hood. Really sets the car off and a hit at the car show! 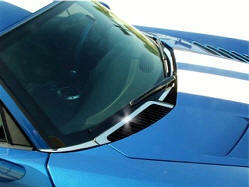 Leaves your black cowl vents black and creates a nice contrast with chrome like finish. Will never rust or corrode. Easy installation - peel and stick. Can be removed at any time. 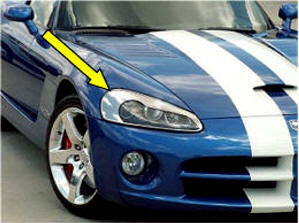 Dodge Viper SRT10 windshield weather deflector mounts on front windshield post. 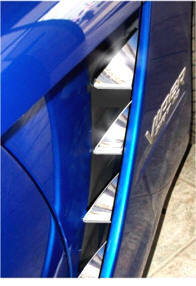 One for each side of car. 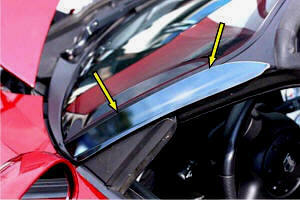 Easy peel and stick installation. 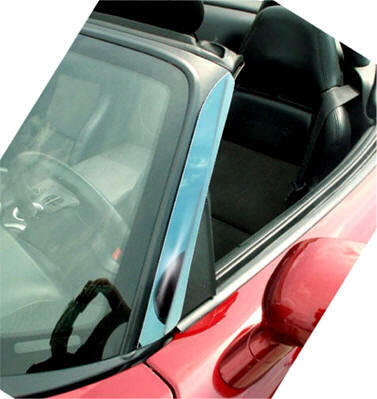 Designed to help keep the rain and wind outside your cabin when the window is down or the convertible top is down. modifications required. Accents are black, but are paint-able to match body color.